Tri Axle – Pleasant Trucking Inc. 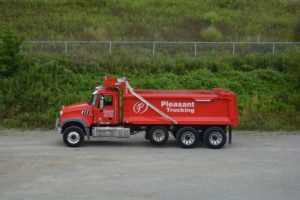 Pleasant Trucking also features a fleet of Tri-Axle Dump Trucks to help you with all of your Stone needs. Our current fleet consists of four dump trucks. Another Shipment Handled the Pleasant Way! Copyright © 2009 - 2018 Pleasant Trucking. All rights reserved.